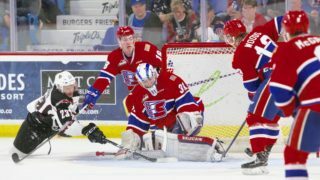 Four former Spokane Chiefs earned headlines in the world of hockey over the last week, including two nominations for NHL end-of-season awards. Mike Babcock (pictured), who coached in Spokane from 1994-2000 and ranks first in franchise history in playoff wins, was named one of three finalists for the Jack Adams Award, given annually to the top coach in the NHL. Babcock led the Toronto Maple Leafs to the playoffs for the first time since 2013 while fielding a young team featuring six rookies with over 75 games played. 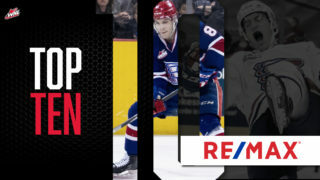 Derek Ryan, who played 216 games with his hometown Chiefs from 2003-2007, was named a finalist for the Bill Masterton Trophy, awarded under the trusteeship of the Professional Hockey Writers’ Association to recognize the NHL player who best exemplifies perseverance, sportsmanship and dedication to hockey. Ryan scored 11 goals and 18 assists for the Carolina Hurricanes in his first full season at the NHL level. 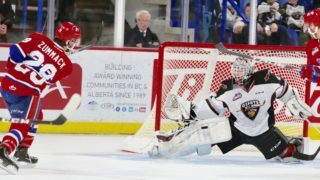 His nomination comes after the 29-year-old forward’s career went from Spokane to Canadian university level, then to Austria, Sweden and the American Hockey League. Chiefs legend Travis Green (1986-90), who transitioned from a prolific playing career to coaching in 2009, was named the new head coach of the Vancouver Canucks. 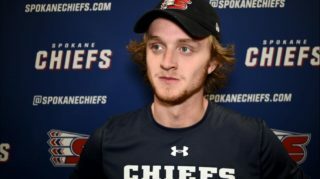 Green, who scored 137 goals (5th) and 165 assists (5th) for 302 points (3rd) with the Chiefs, was previously the head coach of the AHL’s Utica Comets. After a 970 game NHL career, the Castlegar, B.C. native spent two years as an assistant and one year as the head man with the Portland Winterhawks before moving to Utica. 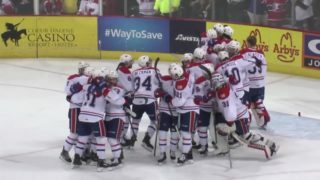 Finally, former Chief Liam Stewart (2011-15) and Team Great Britain won the 2017 IIHF World Championship Division I Group B tournament to earn promotion to Division IA next year. 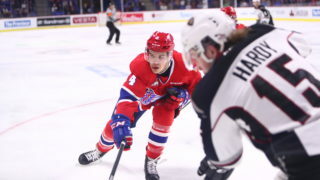 Stewart, who played 251 games for Spokane over four WHL seasons, scored two goals and an assists in five tournament games, including a goal in the decisive 4-0 championship game win over Japan.